Alexa has helped usher in a new era of technology – a world where talking to devices will be as common as using touch. We want to make it easier for you to learn how to design, build, and launch your own voice-forward products using the Alexa Voice Service (AVS). 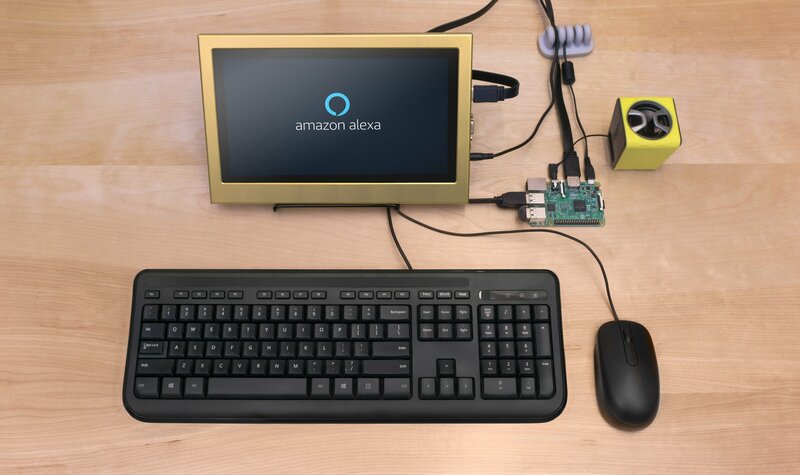 We’re excited to share a collection of tutorials that guide you through building your own Alexa-enabled products. While Amazon continues to handle the complex natural language understanding and automatic speech recognition in the cloud, the developer community has played an important role in making Alexa the rich, delightful service it is today. Without your big ideas, fewer customers would have experienced the power of Alexa, and we hope these tutorials enable even more prototypes, products, and experiences. Try our tutorials and share what you build by sending me an overview video, a Hackster.io project page, GitHub page, or some other form of content. Submit your projects and contact information using the “Feedback” button on each tutorial for a chance to be featured on the Alexa Blog. Think outside the box – what new product category or facet of our lives could benefit from a voice-forward, intelligent UI? Sign up for Voice Mail, our monthly newsletter, to get all of this content delivered to your inbox directly. AVS makes it easy to integrate Alexa directly into your products and bring voice-forward experiences to customers. Through AVS, you can add a new natural user interface to your products and offer your customers access to a growing number of Alexa features, smart home integrations, and skills. Get Started.